Beyond politics and wine, I cherish: Charleston, S.C. (from where I graduated college); shelled peanuts; the Boston Celtics; a Big Night In with a Vanity Fair; Rob Delaney. 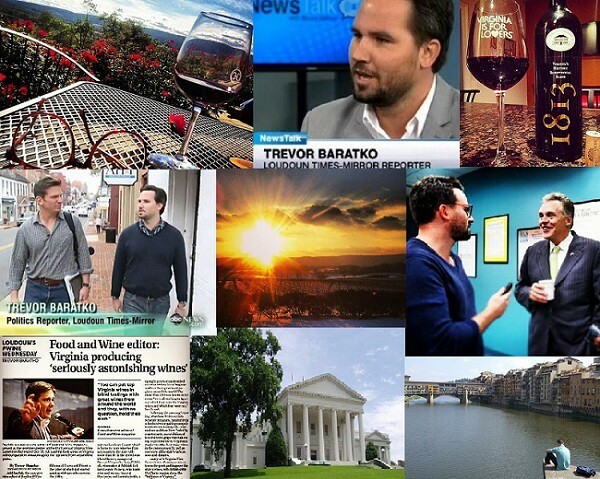 I’m a reporter and writer living in the town of Leesburg in Northern Virginia, about 30 miles northwest of D.C. My primary focus is government and politics in Loudoun County and the commonwealth for Virginia News Group. I more than rarely step out of the “hard news” realm to keep tabs on the Virginia wine industry. My work has been featured on HuffingtonPost.com, WashingtonPost.com, Poynter.com, Medium.com and Reuters.com. Find me on Twitter at @trevorbaratko.